One of Rietveld's Functionalist houses of the 1930s, the Smedes house consists of a cube capped by a cantilevered flat roof, with a garage block and conservatory placed against it. Worthy of note are its steel spiral stair and the sliding partition between living room and dining room. Rietveld also designed its furniture painted in vivid colours (yellow, red, black and grey). 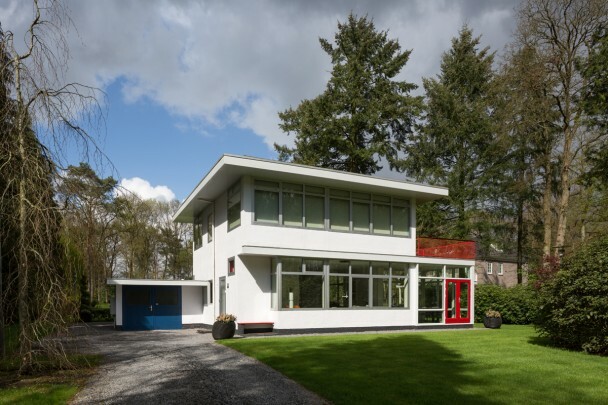 The Smedes family lived here until 1956, when the expansion of Soesterberg Air Base prompted them to move to Bennekom, to another Rietveld house at Hullenbergweg 10. The new residents asked Rietveld to design the extension.